The simplicity of auto-start combined with data inputs and 2x Camera Control + Charging is now available. Only $999 including a camera! Our proven Classic system combined with data inputs and 2x Camera Control + Charging is now available. Only $1249 including a camera! Our top of the line touchscreen system with 2x Camera Control + Charging and RPM. Only $1499 including a camera! Our top of the line touchscreen system combined with data inputs and 2x Camera Control + Charging is now available. Only $1699 including a camera! Add 2x Camera Control + Charging and Data Inputs to any system. Will You Be One of Our Fast 50? With our annual no-holds-barred track competition, the aim is to find the fastest machine on four wheels. 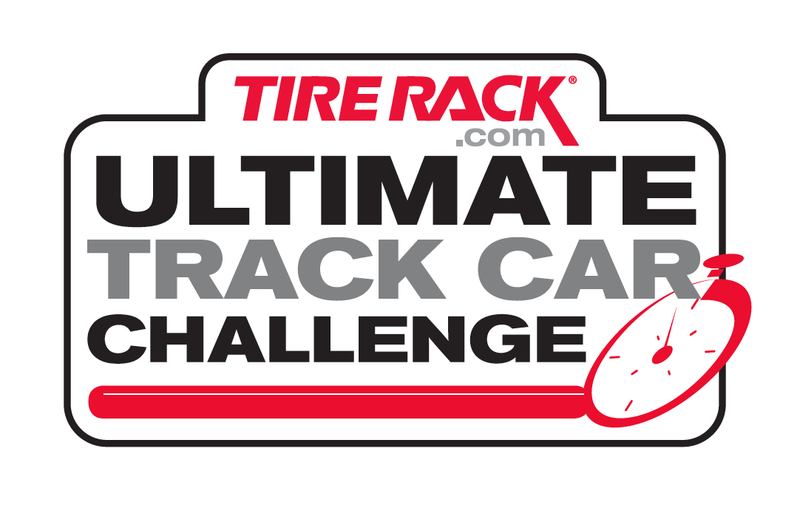 The Tire Rack Ultimate Track Car Challenge presented by Grassroots Motorsports returns to Virginia International Raceway on July 18, 2014. Bring your raucous, flame-belching beast to the track and see if you can best the competition. The rules are simple: All your car needs to do is pass a NASA safety inspection. Run any tire and any suspension type; add seven turbos, superchargers, displacement, spinning triangles; mount it to a production-based chassis or tube frame; use chromoly, carbon fiber, lexan-whatever your wrenching heart desires. What do you win? Bragging rights. Wave your trophy of triumph in the air and watch 49 of your fellow track mates quiver in fear of your awesome horsepower and incredible ability as a wheelman. There can be only one ultimate track car, and only one ultimate track car driver. It could be you. Team Traqmate will be on hand for sales and trackside support. Look for Andre’ in the big hat! The Canadian Historic Grand Prix is the largest vintage race in Canada and we were very excited to be a part of it. Check out our video as the Lotus battle at Indy continues in Canada. TraqData USB allows any Traqmate system to connect, control and charge 2 cameras at one time. It also provides 4 analog inputs, 1 digital and rpm data logging. You can even use it in conjunction with your existing TraqDash cameras for up to four cameras at once! The TraqData USB is designed to work with the Mobius, Replay Mini, and upcoming Replay Prime X cameras. The Replay Mini camera is perfect for open cars. It is aerodynamic, lightweight, waterproof, supports an external microphone, and has replaceable lens protectors. Mini will be available for direct connection to the TraqDash in early July. The Replay Prime X is the new super camera with unparalleled video quality that will raise the bar in action cameras. It is expected to debut in late July. Also available in July, TraqData USB will control and charge Mobius and Replay cameras on TraqDash, Traqmate Classic, and Traqmate Basic systems. There will be Traqmate bundles and upgrade packages available so watch for the announcements. We’ve joined forces with SVRA to become a sponsor for all the amazing events that are coming to a track near you. Soon we will be offering some SVRA racer specials to support this amazing group of enthusiast. Vintage Racing Videos @ Indy! For the first time ever, the Indianapolis Motor Speedway hosted more than 700 of the world’s finest and most historic race cars as they compete on the recently reconfigured road course as well as running exhibition events on the famed 2.5-mile oval as part of the Sportscar Vintage Racing Association’s Brickyard Vintage Racing Invitational, held June 6-8. The races showcased a wide variety of cars including cars that competed in past Indianapolis 500s, cars from the NASCAR Sprint Cup and Nationwide Series, Formula One, Grand-Am prototypes and Trans-Am. In addition, American racing cars from makes like Ford and Chevrolet competed with historic race cars from Ferrari, Porsche, Jaguar, Lotus, MG and many others in twelve different classes of racing. A special class featured open-wheel race cars with Indianapolis 500 or other historic racing background. We’ve joined forces with SVRA to become a sponsor for all the amazing events that are coming to world class racing tracks throughout the US. Join us this weekend at Mosport with the Vintage Automobile Racing Association of Canada (VARAC). The Canadian Historic Grand Prix is the largest vintage race in Canada and we are excited to be a part of it. Come join us and see what vintage racing is all about! The races will feature famous marks like BMW, MG, Triumph, Jaguar, Porsche, Alfa Romeo, Lotus, Mini and many more! Mosport is one of the last historic Grand Prix tracks in North America and hosted the Canadian F1 Grand Prix for several years. This nearly 2.5 mile track has loads of elevation change and tricky corners. Glenn from Traqmate will be racing his Red 1956 Lotus Eleven #44 at the event. Stop by to check out all the latest gear. Burt Levy, a good friend of Traqmate is offering his fellow racers a great deal on his book ‘The Last OpenRoad’. If you like a good story that also just happens to be set at the dawn of sports car racing in America, you really should buy and read this book. And it might just keep Burt from resorting to public speaking engagements! The special will run from July 19 – 26th on BookBub , Amazon, and Barnes & Noble. This limited time offer gets you his cult-classic for less than $1! Click the book below for more details. Traqmate at Indy – Find Us Here! Stop by for sales and service. In the center of the grass paddock along the back straight. Click the link below for the exact location. Team Traqmate met with many of our customers at the recent Classic Motorsports Mitty historic races at the high speed Road Atlanta circuit. Our customers have some awesome cars and we thought we would share some of their exciting in-car videos with TraqStudio data overlays. New Date! Was April 23rd. Now May 7th. There is a $20 charge for attending this webinar. Add Crisp HD Video for less than $200! New Add a Second Camera Kit – Order Now! This kit is designed for customers who already have the new TraqDash HD or HD camera kit and want to add a second camera. We have had great reviews for our new Mobius cameras. Customers love the simple operation and the razor sharp video. So what could be better? Now you can run two of them from a TraqDash with the new Add a Second Camera Kit package, $169 for the second camera kit, including the camera! Order yours today to get the first shipments, expected before May 16th. TraqDash HD and the HD Camera Kit can also be optioned to include the new TwinCam setup as well. Webinar 6 Postponed! – Car or Driver? Traqmate Webinar 6 will focus on using Data and Video to Improve both Car and Driver. This powerful presentation will help you find seconds, learn to find car and driver events from the data and video, critique your driving style, and become more consistent. There will be a $20 charge for this webinar to cover the cost of the video conference. The New TraqDash firmware is out!